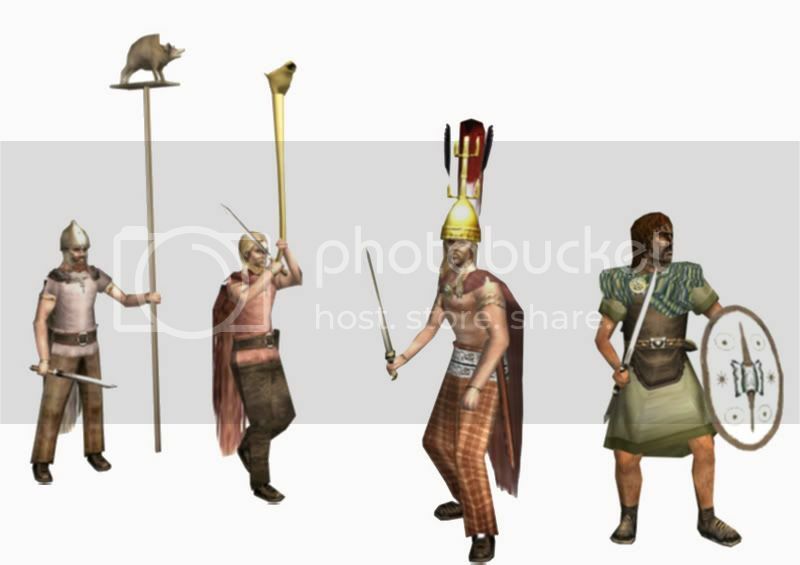 Database of modifications for the game of Rome Total War and Rome Total War Barbarian Invasions available for download. All new links to mod downloads should be created in this category - they can then be associated to subcategories as part of the creation process. Browse the Totalconversion for Rome: Total War directory. Browse stats_mods for Rome: Total War directory. Holland: Total War is an unhistorical modification based on the Netherlands. It is compatible with version 1.5. This mod is designed by myself. * All factions reworked (all provinces of the Netherlands + German, Belgian French en British regions. * A lot of more actually..
Current patch (complete) is 2.0, and you don't need to download other patches first. GenericScript.txt file for the EB pbem. These are unit cards for the alternate version of the Spartan Hoplite that the CA released on Gamespot. Someone on the forums was asking about it so I thought I would upload it. 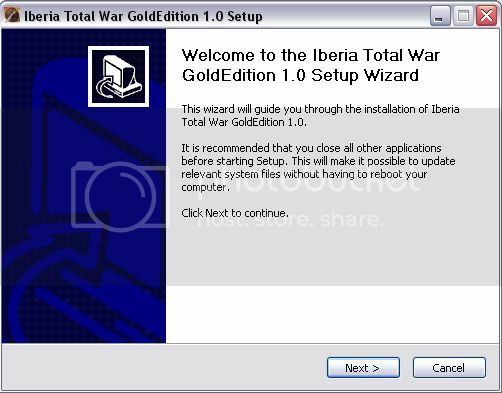 3- Choose the version of Iberia Total War to be installed (Spanish or English). Once the choice is taken, the installer choose automatically the set of files to be installed. ...the installer adds at the end (with no orden from me) the final default folder. It is necessary then to delete this final to leave the correct path. and ITW Gold Edition is installed. It is advisable to play with huge size of units and without detailed shadows, given that black zones appear in battlefields. With respect to scripts, it is better to eliminate completely advisor to prevent overlapping. This mod is for personal use only. You must get permission of the authors (development team) to use material of this mod in another release. 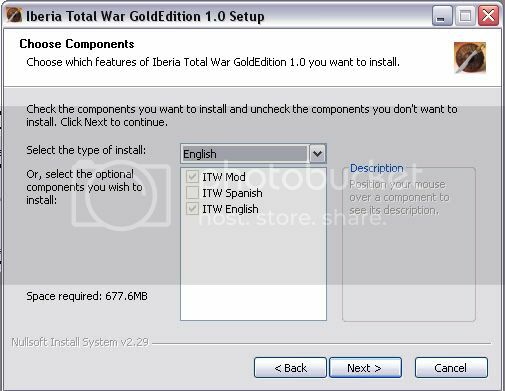 Iberia Total War Gold Edition is a mod for RTW 1.5 that focus on the Iberian peninsula during the roman period. It is a completely new release and you need only a clean RTW installation (not the previous version of ITW). ITW Gold will be one of the largest mods for RTW and it will be released in two parts. 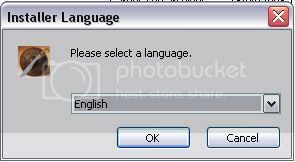 It runs in a separate mod folder and you will be able to choose one of the two language versions, English or Spanish. The first release, the mod, has more than 6500 files, for more than 800 MB size (once installed). The second release will be the sound system with new music, new ambient sounds and new speaks in the ancient languages. It will be around 1 GB (once installed). We will speak about it in due course. 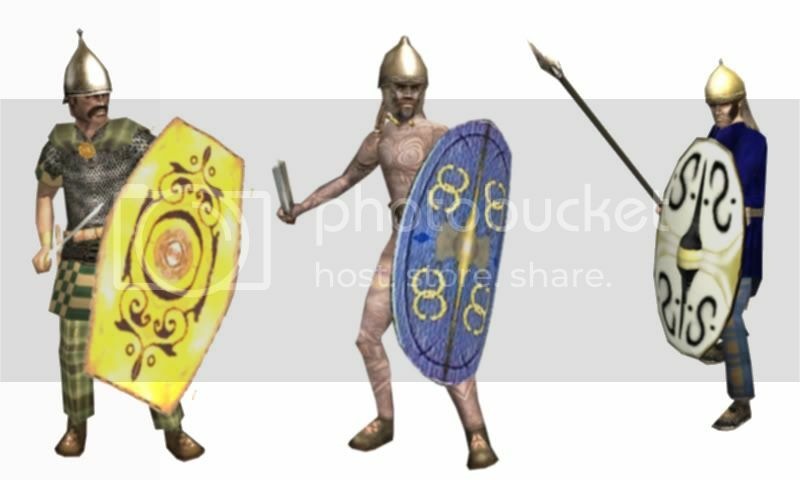 The mod contains 20 playable factions in battle mode (custom and multiplayer): two roman factions, carthaginians and numidians, greeks and italic tribes, two gallic factions, and 12 playable iberian tribes (cantabri, asturi, gallaeci, lusitani, celtiberians, vaccei, illergeti, edetani, carpetani, oretani, turdetanians, and bastetani). All the units have been re-designed from historical data. ITW contains 245 cas models with 384 textures. Most of units are widely available in campaign, as they appear as auxilliary or mercenary units in the corresponding zones. 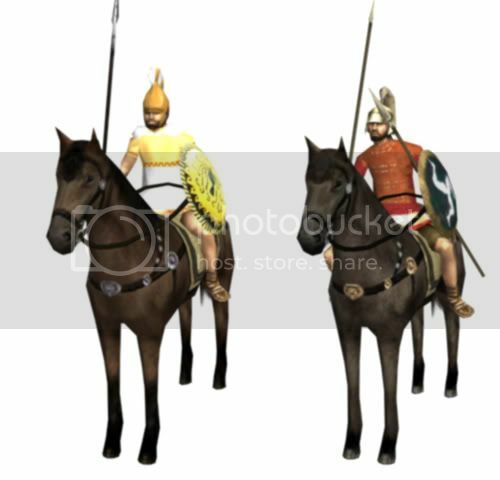 Regarding animations, SigniferOne animations for infantry are still used, and we are using Prometheus animations for cavalry (with slight modifications) and some new animations for musicians. Formations are more difficult to mantain as the mass of soldiers has been made proportional to the light/heavy character of the unit. Now massive battles are possible given that units are larger in number with very few exceptions. The "classical" one imperial and four provincial campaigns are kept, with redesigned scripts that include now the 4tpy script. and all the models for generals, captains and fleet are new. In the provincial campaigns, missions are issued to the human player, with the corresponding rewards and consecuences. 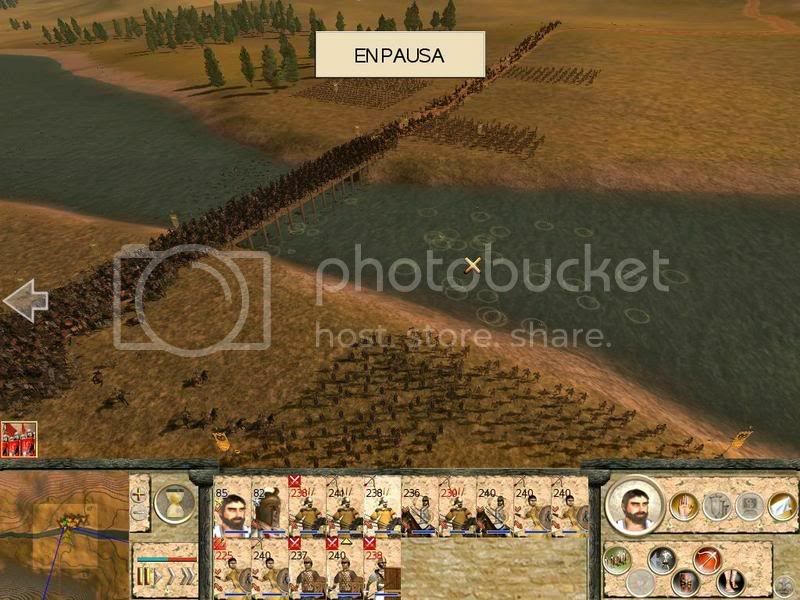 13 historical battles are included, among them the new Ilerda battle. 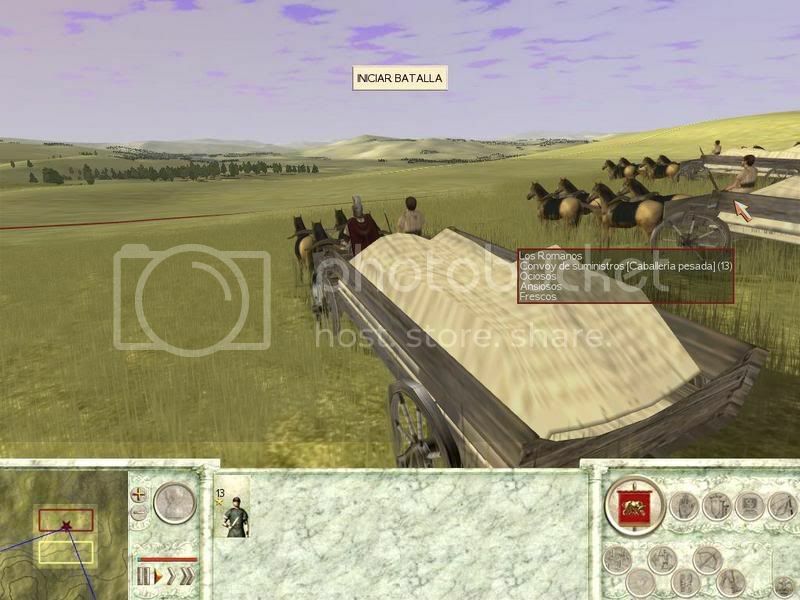 This mini-mod is for Rome: Total War v1.5 with the mod EB. This allows all factions to horde, allowing factions to still act after they lose all of their cities. This mini-mod was created for EB v1.0 with no other modifications except the "permanent fixes" listed by the developers of EB. It was not tested with anything else, so copy your files before using, as it may interfere with other nessecary files. The files edited can be seen in the "data" folder. Simply copy the EB folder into "your install path/Rome - Totalwar/" and allow it to overwrite/copy all files. This allows all factions to continue play when all of their settlements are taken. It needs EB v1.0, and must be run through the BI.exe to work. 50% Bigger and 100x Better than Regular Oliphants! Hi there. 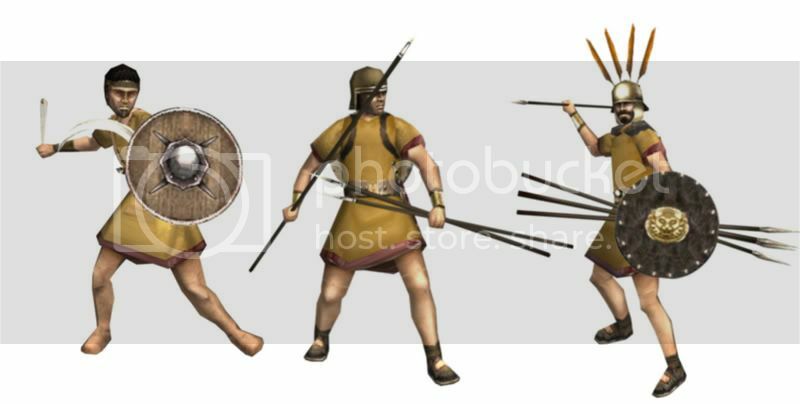 This is a mini-mod that adds fireball shooting Hyper-Oliphants to Numidians. Its design concept was to push the RTW engine to its limits and find the most powerful unit possible, without major graphic/3D editing or re-coding of the game itself. The fireballs have a range of 1000 meters. I did not change the unit cards. :p I couldn't find a suitable picture, and besides, the point of this excercise was to find out how far the game could be changed simply by altering the text files and crudely changing the skeleton models. I also fixed epik CTD bug that occured if you built an Adam Tree Deceres in a province without a port, and made various other under-the-hood improvements. This includes the REMOVAL OF BURNING OIL, as an insta-kill free weapon that refills in 3 seconds and can kill units with 255 hp and 65535 armor in one hit is ridiculous. THIS MOD WAS TO MADE TO DELIBERATELY IMBALANCE THE GAME, PURELY FOR MY OWN AMUSEMENT AND TO LEARN HOW TO DO BASIC MODDING. Numidians are considered one of the hardest races to conquer the world with in Vanilla. In fact, it was voted as the most difficult faction by nearly a third of the members of the Guild when a poll was conducted ~2 years ago or so. Well, god has heard their pleas and have bestowed some of his strength upon them, as well as given them access to the mighty soldiers of heaven and heavenly wood to build indestructible catapults and boats. God's Destroyers: God's most powerful weapons are brought into the mortal world. Also known as "Living Mountains." A regiment from god's army of Heavens descended upon Earth to annihilate all in His path. God first created these beasts by harnessing the primal energies that were used to create Earth many millenia ago. Eons ago, these troops were used as God's "mailed fist" to aid His conquest of Hell, and now God has bestowed his greatest weapon upon faithful humans to eviscerate all evil that may walk the Earth. These fearsome beasts are infused with holy power and their very presence strikes bottomless despair within the hearts of man and beast alike, and they can move faster than the fleetest animals, leaving nothing in their wake. Elite members of god's Warrior Angel Corps command these beasts and personify the glory of His will. They can channel the power of fire from the deepest pits of hell to destroy entire entire armies in seconds, from distances no mortal eyes can comprehend. The physical manifestations of these ethereal beings are nigh-indestructible. No mortal walls or weapons can hope to defeat these reincarnations of of the very lifeforce of Earth itself. Through His blessings, supernatural Deceres have been constructed using wood from Adam tree itself. These invincible ships can destroy even the mightiest warships made of mortal materials. Invincible on sea. Even one of these invincible ships can dominate the entire Mediterranean. Fighting these vessels is an excercise in futility, as a mere mortal cannot hope to stop the Tides. NOTE: Triggers have been manipulated such that this trait is automatically given to any general/family member/agent within the Numidian faction. Even bribed generals will immediately receive this trait. NOTE: When any character has this trait, most negative traits are negated and converted to positive traits-even if the character, as a bribed general, had a bad trait before entering Numidia's service. NOTE: Triggers have been manipulated such that anyone with the God trait receives Angel by default. Numidia is now able to build every building available to other factions. This does not include Temples, however-Only the temple of horse has been added. But after all, that's the only temple you should really need, as the highest level temple of horse gives +5 experience to any troop trained. Numidia also begins with a mountain of gold bestowed by god. (5,000,000 gold). Burning oil on stone walls have been removed until a way to tone down the damage or refill rate can be found. Rain of Hell from Beyond the Walls! 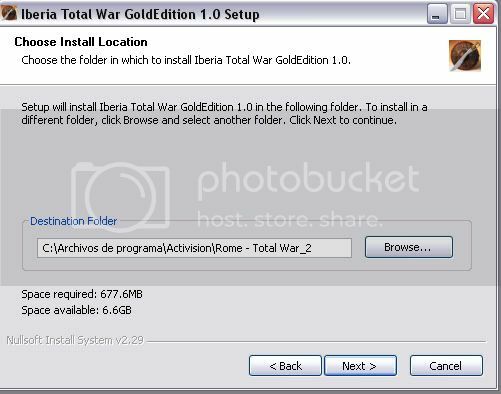 Backup your Activision/Rome-Total War/Data folder. Unzip the mod file into your Data folder. A mod by orgo.love making a powerful Numidian faction. This mod is for fun and doesn't aim to balance or be historically correct. 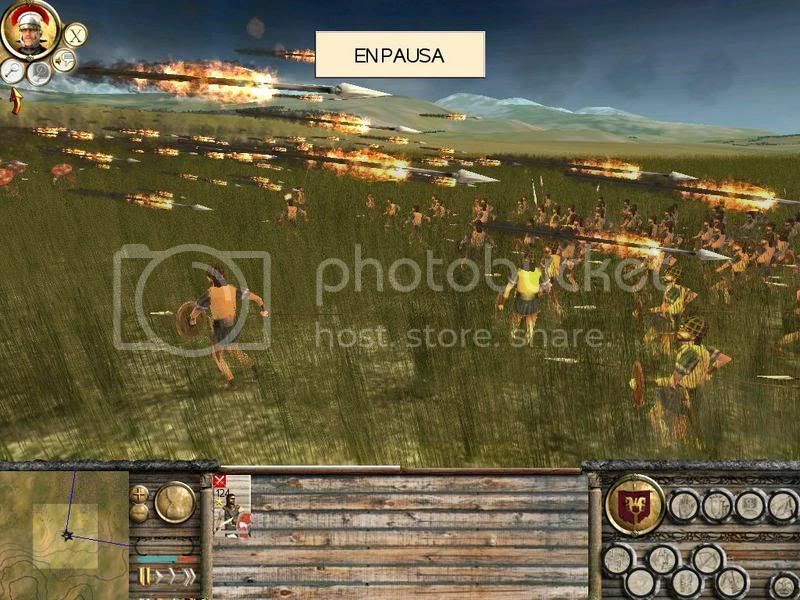 Europa Barbarorum is a modification of Rome: Total WarTM, a game by The Creative Assembly, that is motivated by the desire to provide Rome: Total War players with a more fun, challenging, realistic, and historically accurate gaming experience. Europa Barbarorum is a total conversion modification (mod), though it covers roughly the same time period as the Imperial Campaign included with Rome: Total War. Europa Barbarorum features a new map covering the lands between British Isles & India, 20 fully researched factions, a massive traits & ancillaries system, over 400+ units, Greek, Celtic & Latin voicemods and much more all made for an as historically accurate mod as possible. 1. Ensure that you have a clean installation of RTW 1.5. EB v1.1 does make use of the -mod command, but we still recommend a separate installation for EB. 3. When download is complete, double-click the .exe file and follow the install instructions. The installer might take some time to install, but this is due to the heavy compression and most imporantly the error checking included. Visit our Technical Support Forum if you require further assistance. over the next few months we hope to release more units, some new factions and a campaign map. The mod is not authorised or supported by Games Workshop, Activision or Creative Assembly, in other words it is totally unofficial. This software is distributed as is, without warranty of any kind, neither expressed nor implied, including fitness for a particular purpose. The authors or distributors shall not be held liable for any loss of data, revenue or any other direct or indirect damage caused by this software. USE AT YOUR OWN RISK! This modification is completely unofficial and in no way endorsed by Games Workshop Limited. Twin Tailed Comet Logo, Tzeentch, the Tzeentch logo, Warhammer, Warhammer Online, Warhammer World logo, White Dwarf, the White Dwarf logo, and all associated marks, names, races, race insignia, characters, vehicles, locations, units, illustrations and images from the Warhammer world are either ®, TM and/or © Copyright Games Workshop Ltd 2000-2007, variably registered in the UK and other countries around the world. Used without permission. No challenge to their status intended. 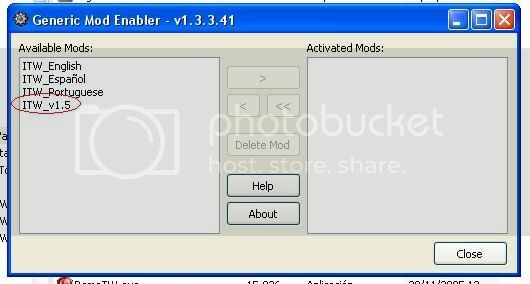 You may distribute this mod on your website but please link to us. Also Games Workshop insists that you can not profit by distributing mods based on it's intellectual property, this includes banners and redirection links. If your a magazine who wishes to put this mod on a CD, we have no objections but please contact GW first. Tnaks to quadrille for the team's names. The Crusades TW team via the chiv TW team. And everyone else who wrote in to support this mod. Also, huge thanks to Marcus Orentius for the forum. 3. Paste the new WHTW folder into your Rome - Total War directory - Remember it should NOT overwrite any files! 4. Right-click on the included shortcut, click proprties, and redirect the shortcut to your Rome - TW.exe file. DO NOT CHANGE ANY OTHER PART OF THE COMMAND LINE!!! if you have any problems just post on our forum and we'll try and walk you though it. All the team members who have left us for various reasons, you did help us get the mod going. And finally all the people on the modding forums who have helped us out when we've been stuck. Small modification containing a backup. 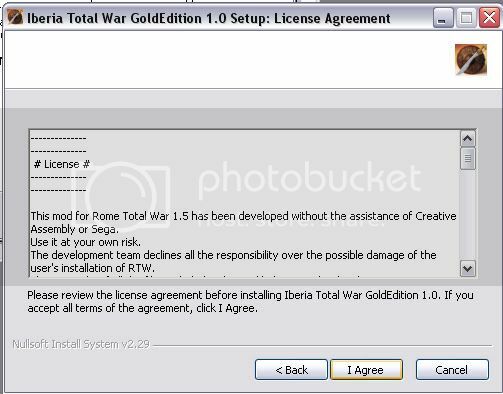 -Make sure you have a clean copy of Rome Total War patched to version 1.5 or Rome Total War + Barbarian Invasion with the 1.6 patch installed, ready on your computer. -Download NTW2 from our website. -After opening you will find the install program inside. -To start the program, just double click it. The install program will instruct you further and install NTW2 on your computer. NTW2 is mainly focused at MP games and historical scripted battles, the first release covers, what we called the 1812 Borodino scenario and brings you the French and Russian forces to play with in MP and a SP historical scenario, a set of historical battles around the battle of Borodino. In this scenario you are guided by Napoleon himself (with text and voice), to achieve some battle goals, the battles are linked, you do not have complete control of all units at first, but as you progress through the battles you control more and more units, and you have to work with the AI to defeat the enemy. All the battles and AI were scripted by us. We changed almost every aspect within the modding capabilities of the game and 99% of it is Lordz own production, it is a mod about detail and quality and we tried to create a new Napoleonic atmosphere. Newly composed music, much more detailed maps, new vegetation, new skies, new climates, new light settings, new models, textures, animation, climate textures, new sounds, new voice commands(in proper Russian or French), new GUI, new artwork. Basically we stripped RTW and made a different game with the tools we had. As Borodino mainly has an Eastern Europe style , now we will add a more Western Europe style and make sure all fits the picture again. Progress on all this is very far already, we release in faces as the MP game was so good received it is more fun when players get regular updates from know on than have to wait any longer. Try some NTW2 MP battles online, many people play NTW2 since release. Napoleonic Total War 2 is a Lordz production. Personal use only - The material in this modification cannot be used in any other public modification without the creator's express permission. Ill put on several mirror links. Make sure you got a clean BI 1.6 installation, eventually make a backup of it. Unpack the whole file. You must use WinRar to do so. 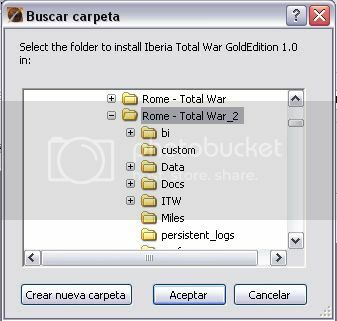 Select the files inside the folder, copy them, and paste them in your Rome - Total War directory. Click yes when you are asked to overwrite files (you must be). Then make a shortcut. Select RomeTW-BI shortcut, copy it and paste the shortcut on your desktop. It is highly advised to use some commands to help find errors. The most important one is -show_err. Right click on your shortcut, select properties, you will see the target of the shortcut. Add -show_err at the end of the target. Make sure you will launch the game with the shortcut. 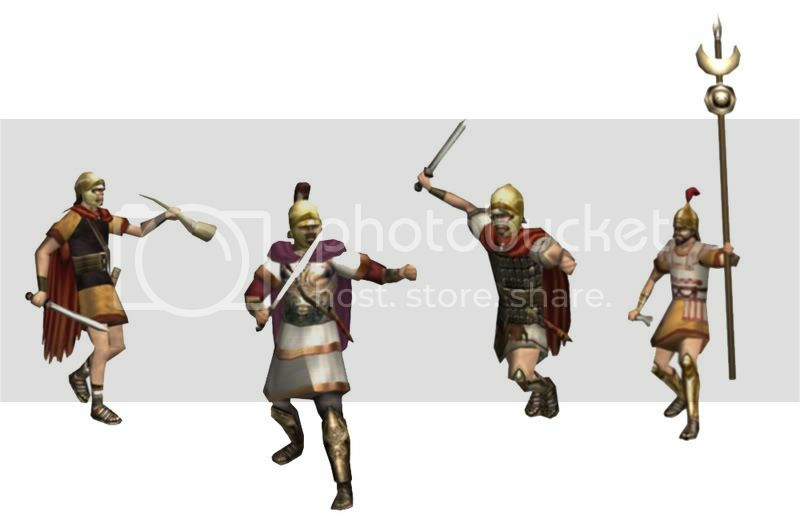 Mercenary X pack is a feature packed mercenary add-on for Vanilla Rome Total War players. # Adds 20 new units to the current mercenary pools. # Redefines existing mercenary pools for high regional dependence. Certain units will only be available in very specific regions. # Limited selection of mercenary types in fringe areas surrounding the Italian peninsula. # Experience level upgrades to units recruited in traditional homelands. # Explore and conquer the far reaches of the map for elite and rare mercenary units but you may need to be patient. # A few bug fixes in the original files. You must have a clean copy of RTW and patched to V1.5 (V1.6 if you have BI). May be used in conjunction with formation mods and/or Player 1 bugfixer. This mod will not work with other major mods. This mod is not save game compatable with any previous saves of any version. You must start a new campaign. No special installation instructions are required as it is self installing. Download X pack, unzip the package and double click MXP.exe. 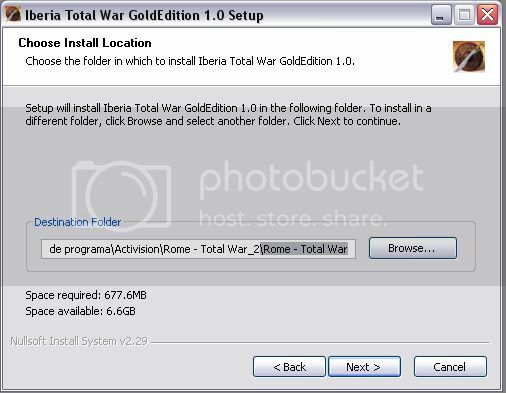 The package will install into the default directory C:\Program Files\Activision\Rome - Total War folder. If this is not the directory where Rome Total War is installed then use the browse button to point to the root folder where your game is installed. If this mod is being used with Player 1's bugfixer then bugfixer must be installed first before Xpack. If this mod is not installed in this order the game will not function correctly. No uninstall is provided. Make a back-up copy of your Data folder before installing. 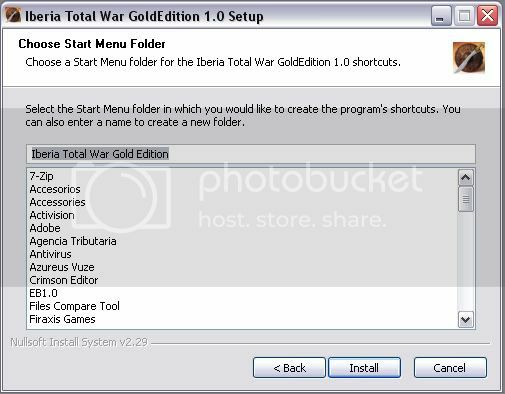 If you need to uninstall without a back up copy then you will need to re-install Rome Total war. 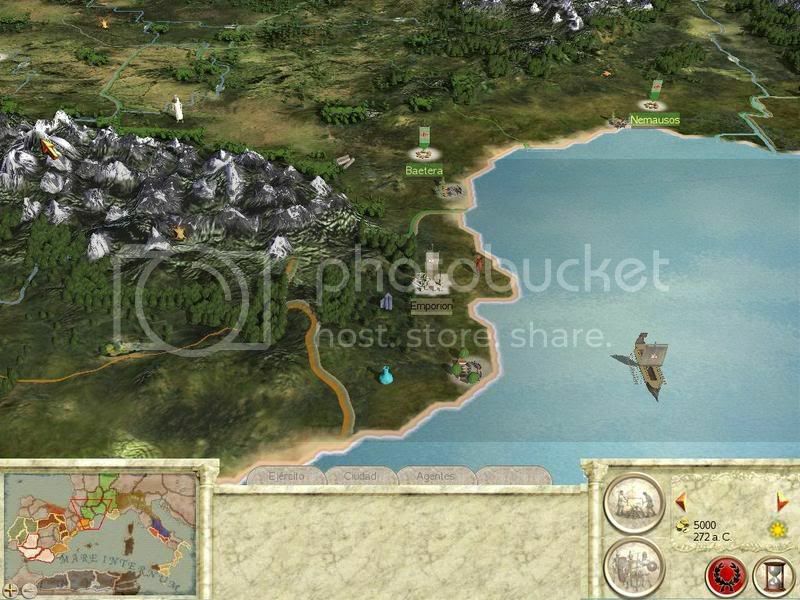 Britannia players head to Eastern Europe or the Steppes to hire mercenary warband archers. This is a mod for vanilla players first and foremost, however I would appreciate a request if these changes (whether in part or in whole) are to be included in other public modifications. No other restrictions apply. Vanilla players are free to edit files to suit their style of play. The mod was created entirely by Nebuchadnezzar and is bug free. Res Gestae: a modification for Rome Total War starting at the beginning of the Second Punic War and taking Rome to the height of her Imperial glory! Created by Prometheus and the Res Gestae team. RES GESTAE is not supported by CA and is a non profit making enterprise. This is the first of a series of Packs studied to be self independant add ons to Vanilla Rome TW 1.5. All images and contents are copyright of their respective creators. If you want to reuse content of this mod in other non-profit mods you can, but you have to ask for permission to the respective authors and will be allowed only if you get the proper consensus. In that case you must give the respective artists the deserved credits as well as to the RES GESTAE mod. Authorization is needed also in case of piecemental use of models or textures or any other part of the mod. BI patch v1.4 (this includes RTW patch v1.3 on CD, which will be installed), note that this patch is available on the BI CD. (6) Start up RTW as normal. If you attempt to play a new imperial campaign, you will have to wait longer than usual for the new map.rwm file to be automatically generated by the game. (4) After the backup has been created (this usually takes a while to complete), install the files manually to the appropriate destination directories. The Self-Extracting ZIP uses exactly the same structure as a vanilla RTW version, so copy and paste files using the structure provided as a reference point. I would recommend copying and pasting individual text files one at a time rather than complete subdirectory folders, otherwise you may corrupt your existing (potentially modified) version of RTW. Note that this modification is compatible with both RTW v1.5 and also with BI v1.6 installed. Rome: Total Gameplay (RTG) strives to improve many aspects of vanilla RTW. The mod focuses on areas such as gameplay balancing, improved battlefield experiences, modified faction unit and building rosters, some bug-fixes, and other general improvements. It also incorporates the talented work of many other members of the TW community. All artwork featured in RTG is copyright of their respective owner(s). This artwork may not be re-used or distributed without the explicit written permission of the author(s). My thanks to all those involved in every possible means with the development and progression of the mod. If you feel I have missed you out of the credit section, or a certain section is inaccurate, please PM me to let me know which area(s) you felt you contributed towards. Rome: Total Gameplay is not supported or endorsed in any way by The Creative Assembly, Activision or Sega. All of the work included with this modification is my own, and has not been taken, borrowed or stolen from anyone. Credit has been given when and where necessary. Note that any infringements present are purely unintentional. If you wish to use any part of this modification (i.e. my own work, not that of The Creative Assembly) in your own projects, please contact me in the form of a Private Message. Additionally, the work of other modders is included with this modification, so you will need to be given specific permission from the author(s) if you wish to use their work in your own projects. Please do not take my work without asking, the most frustrating thing for any modder is to have their own work used without permission elsewhere. Bear in mind that many hours / days / weeks / months have been spent developing and improving this modification. This is noway near a total conversion mod, just an extra campaign map for the normal game. The map is a campaign for the island of Sicily, starting in 264BC, the beginning of the First Punic War. The map contains 25 regions and has three playable factions; Rome (the senate), Carthage and the Greek Cities. The central region of the map starts under the control of the rebels. 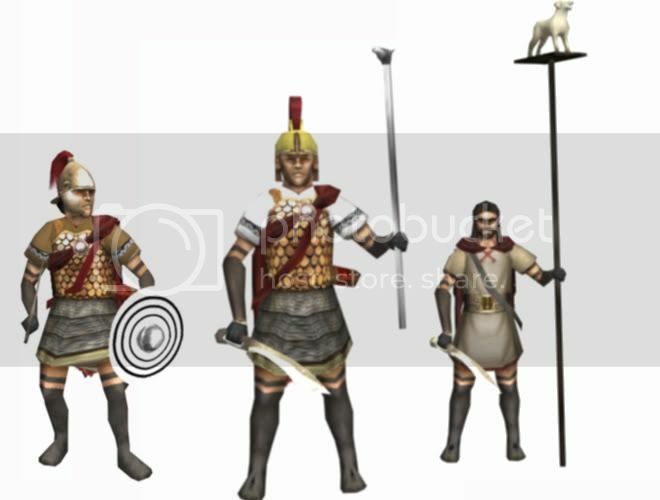 A unique mod that takes place 3200 Years Ago in the time of Achilles and Hektor, 2 great warriors. Play as any one of 18 factions including Troy, Phthia, Mycenae, Athens, Amazons, Sparta, Dorians, the Hittite Empire, and more. 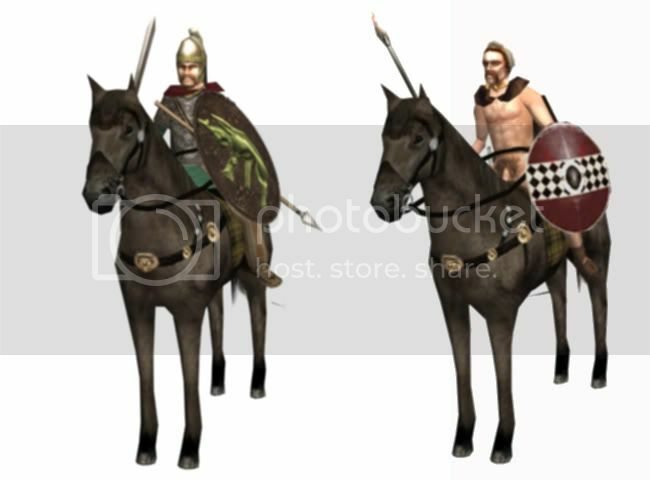 Wage more with spearmen, chariots galore, and battle with heros. Seige cities with rams, truly a challenge back in those days. A mod with a unique history, classic storyline and inspired by the 2004 motion picture. If you are tired of playing Roman based mods, then this will rekindle your thirst for Total War with a new era, new map, and historically based units. Of course historical information for this time period was next to nothing, but we hope our creativity has properly filled in the gaps. - Double click on Iberia-TWv1.5.exe and follow the instructions. - Open JSGME.exe (double click) placed in Rome - Total War folder. Enable ITW_v1.5 (full mod without texts) and ITW_English (English texts) or ITW_Portuguese (partial translation to Portuguese) mods. - Close JSGME and play RTW. ADVISOR_VERBOSITY:0before starting any provincial campaign. - Open JSGME.exe and disable both mods. 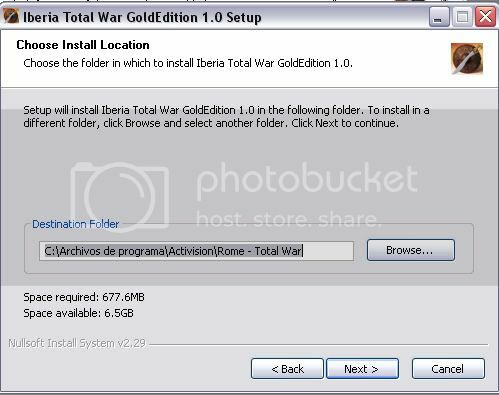 - Use the uninstall.exe to fully uninstall Iberia-TotalWar. - All units different from those of RTW. Celtiberian and Turdetani factions completely redesigned from version 1.0. - Lots of new sounds to increase the immersion in the battle. - Imperial campaign "RTW style". To activate the script, press F1 at the beginning of the campaign (and each time a saved game is reloaded). When the advisor appears, press the portrait and then the "Show-me" button. Personal use only - The material in this modification cannot be used in any other public modification without express permission: in case of work by ITW team, please contact with me; in case of work by other modders out the team (see credits) the express permission of the author is required. Many thanks to the Lordz for providing download support. 5. Copy the contents of the unpaker into Data/packs in your clean version of RTW 1.5. 6. Run the .bat file and let run completely. this may take a while. After its done you'll see a new data folder in the packs directory. 7. CUT or MOVE (not copy) this new Data folder and paste it over the root Data folder allowing it to overwrite everything. NOTE: There should be no Data folder left in Packs. 9. Download Blue Lotus and copy it's Data folder over the Data folder in the root. 11. Run Rome, go to Imperial Campaign. Enjoy. REMEBER TO SAVE BEFORE EACH TURN. Random AI crashes can occur in this version. 12. Please report bugs at the Blue Lotus subforum. Copyright: Blue Lotus is not supported by CA and is a non profit making enterprise. This is a Beta version and may be buggy. All images and contents are copyright of their respective creators. Feel free to re-use any original BL content in any other non-profit mods as long as the respective artists are credited. If possible contact us for details on authors. Factions: Blue Lotus has always been designed to be played as the Japanese, Chinese or Indian factions. And is most complete as these factions. The Demon faction is playable but is very easy on the current settings. The Korean and Mongol factions are 'mini' factions ie they have a smaller selection of unit types and have non-unique UI and names etc. They are playable but not as rounded as other factions. Limitations: Blue Lotus was always conceived as a bit of fun. Fun to make and fun to play. There are many areas where due to lack of manpower and time we have taken shortcuts. This gives a working, overall impression whilst still allowing us to release the mod within our lifetimes. Examples; Cities do not have different building models for every building type, units don't have LODs, 2D artwork for message screens are mostly drawn from historical/illustrative sources rather than hand drawn like the building images. There are very few new animations in game. There should, however, be plenty here to give the feel of a complete Mod.